Isn't there something in the rule book of the Pendroy Invitational Track Meet forbidding twins from running in the three-legged race? I'd sort of forgotten we even had a Twin-Cam. 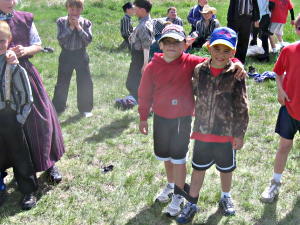 Here are these two track stars a few years back, resting up for this very race!